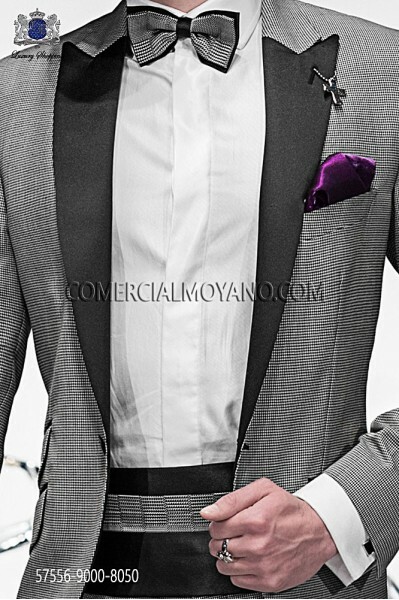 Italian bespoke black Prince of Wales fashion suit style 1125. 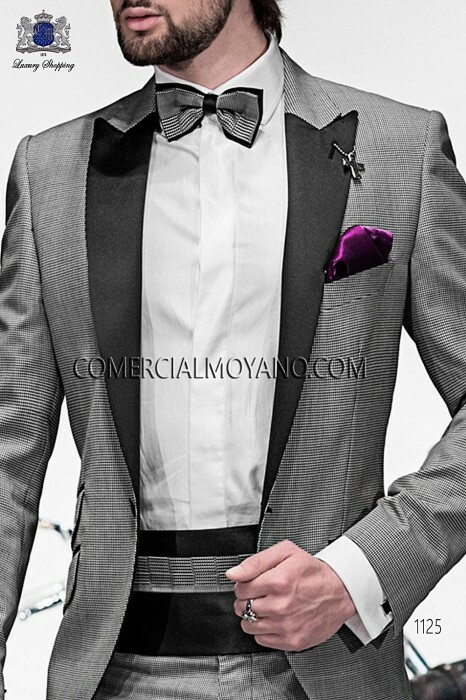 Italian bespoke fashion suit in black/white Prince of Wales fabric with peak lapel in contrast fabric and single corozo button closure. 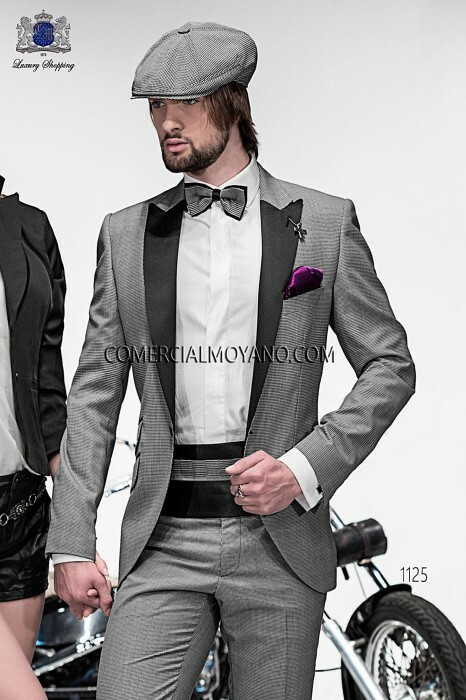 Flap pockets and angled buttonholes; and twin vents at back, style 1125 Ottavio Nuccio Gala, 2015 Emotion collection. Carlos Hernández (24/02/2017): Italian Prince of Wales fashion suit - Muchas gracias por todo! 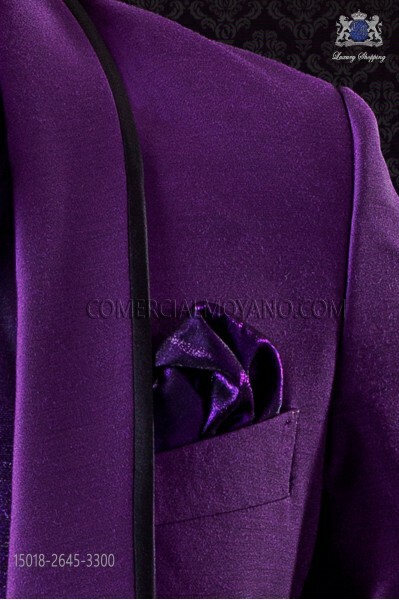 El traje me sienta perfecto! 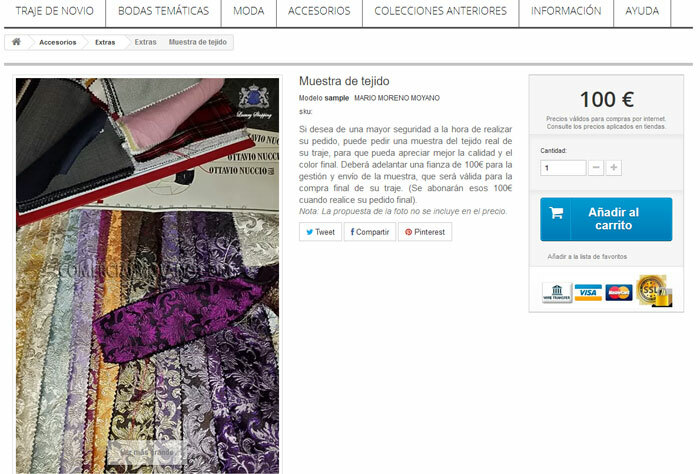 Jorge Cardenas (14/06/2016): Italian Prince of Wales fashion suit - Tienda muy recomendable, gran trato y servicio. Paul Beckett (17/05/2016): Italian Prince of Wales fashion suit - Good service, thanks for all! 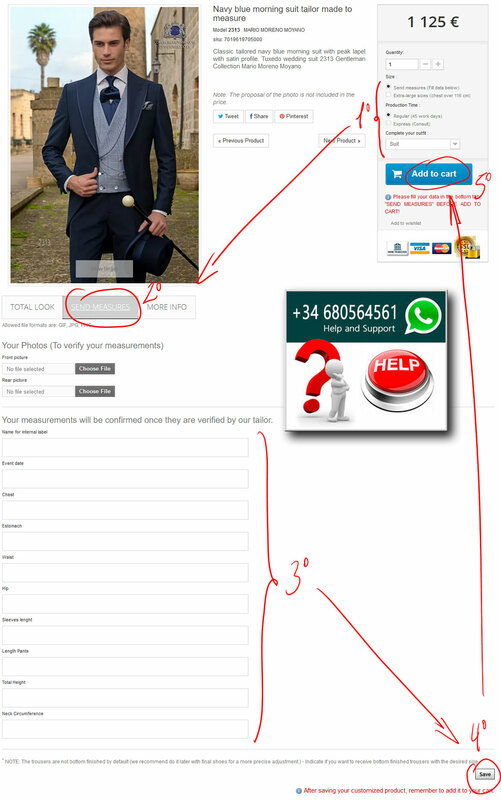 Wilhelm Günther (08/12/2015): Italian Prince of Wales fashion suit - Bestellung ohne Probleme geliefert, alles ok danke! Pierre Babonneau (05/06/2015): Italian Prince of Wales fashion suit - Je l'aime !! Custom Suit with signed liners and pure mother of pearl buttons (you can order them lined for ceremony; we will send the original game parts for later use). 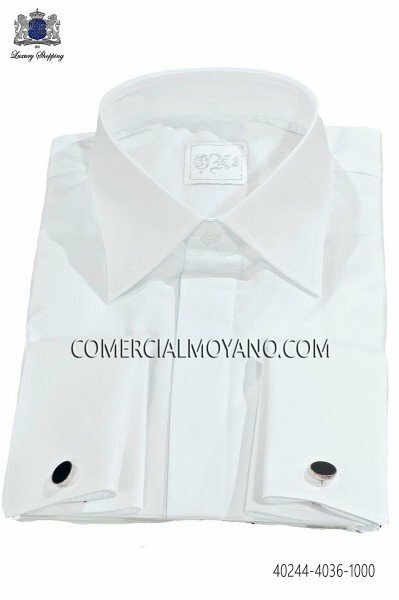 White cotton and polyester shirt with classic collar and cuffs for cufflinks. 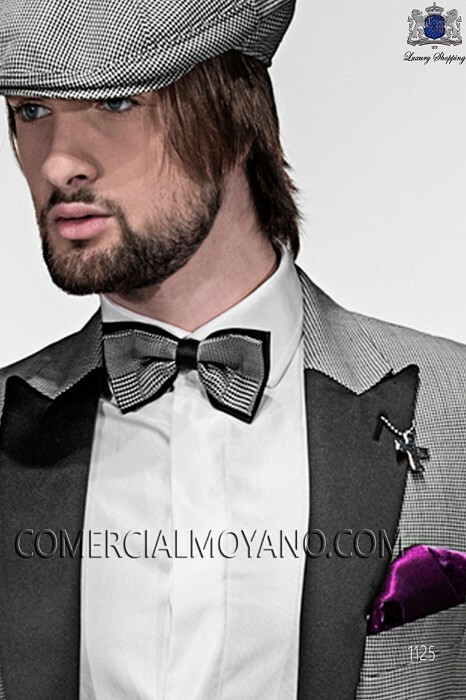 Black/navy blue silk micro patterned cummerbund and bow-tie set with contrast satin details. 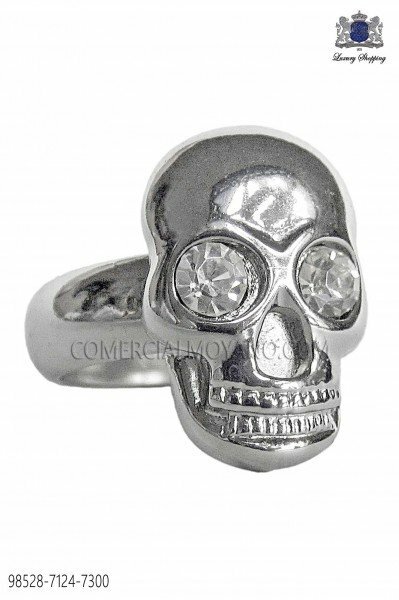 Nickel skull ring with clear rhinestones. 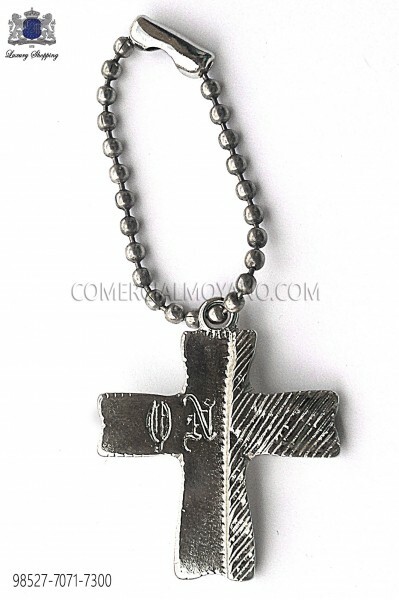 Nickel free. 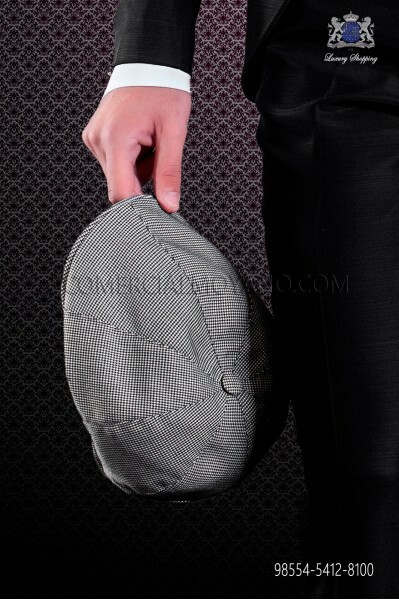 Black/white pure wool houndstooth pattern flap cap. Black and white “Golf” patent leather shoe style. 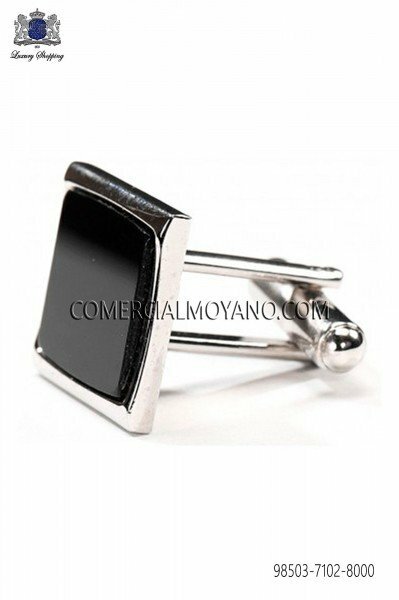 Nickel rectangular cufflinks with black enamelled detail.